Handpiece lubricant plus alcohol spray. 40,000 rpm. 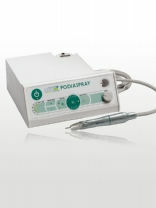 With PodoTronic spray handpiece. New pump technology ensures constant and easily controlled spray. Large Accessible water reservoir (410ml) 11cm Height by 8cm Diameter. 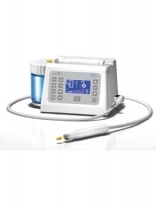 Convenient handpiece mounted standby switch.